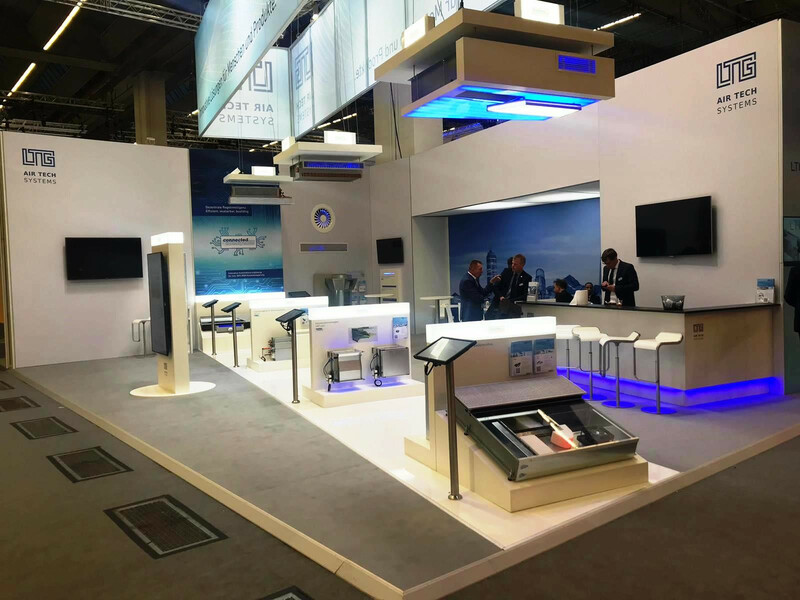 Australian engineered Smartemp diffusers are raising the bar at the largest building services fair in the world: Frankfurt's ISH 2019 expo, open from Sun 10th March - Fri 15th March 2019. SMARTEMP's Adjustable Helical Swirl Diffusers, type HSC-AD, Perforated Multistream Wall Diffusers, type PMW-AD and Inclined Floor Swirl Diffusers, type ISF-AD may be seen at the LTG stand in Hall 8.0, stand D50. LTG is a Stuttgart based German leader of specialist air diffusion, and has partnered with Smartemp to complete its range. 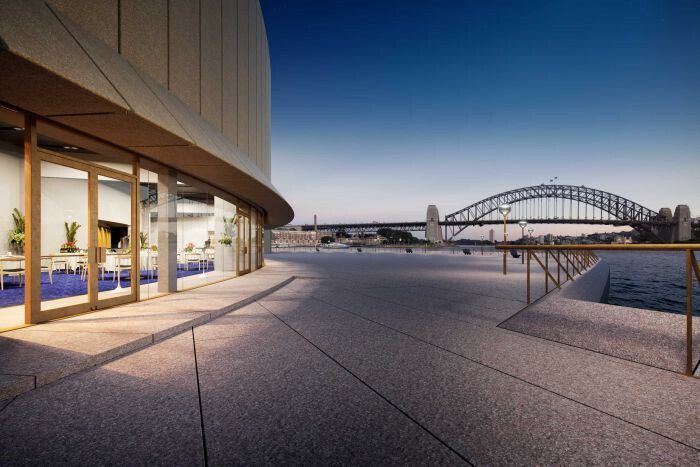 SMARTAIR DIFFUSION is proud to have advised on the air diffusion design, and to be awarded the contract to supply its SMARTEMP Linear Multistream Ceiling Diffusers, type LMC-AD, for the Function Centre of the Sydney Opera House Renewal project. The bespoke solution includes gently curved versions of these diffusers abutting the radiused perimeter beam above the floor-to-ceiling northern windows that offer stupendous views of Sydney Harbour. The SMARTEMP high induction linear diffusers with manually adjustable micro-jets will ensure that events, from weddings through to intimate gatherings and small-scale performances in this, one of the world's most spectacular locations, will be cocooned in comfort. SMARTEMP Cylindrical Plug-Flow Diffusers, type CP-AD, are being supplied to the new £ 50 million McLaren manufacturing facility in Sheffield. The low turbulence plug-flow air streams from these diffusers will provide enhanced indoor air quality to the factory floor of the McLaren Composites Technology Centre, where the ultra lightweight carbon fibre tubs for the monocage chassis of the entire McLaren luxury family of sportscars and supercars will be made. Diffuser discharge direction is adjusted by thermally powered actuators, to ensure draught-free cooling and effective heating year round. 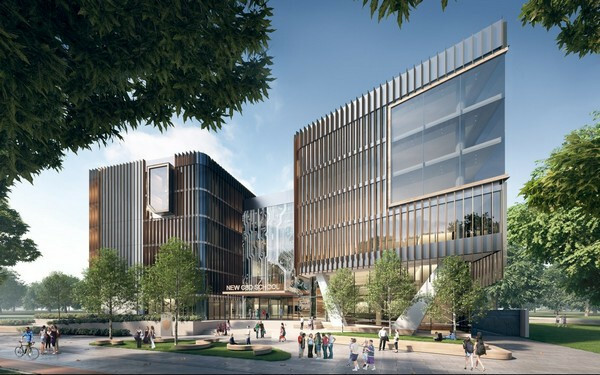 SMARTEMP Perforated Multistream Wall Diffusers, type PMW-AD are being supplied to the new $ 100 million Adelaide Botanic High School. These patented high induction wall diffusers will compliment quality learning with enhanced levels of draught-free comfort. Other SMARTEMP air diffusion products being supplied include high capacity fixed vane ceiling swirl diffusers (SMARTEMP Fixed Helical Swirl Diffuser, type HSC-FD) and electrically adjustable variable discharge pattern ceiling swirl diffusers (SMARTEMP Adjustable Helical Swirl Diffuser, type HSC-AD). SMARTAIR DIFFUSION has been awarded the contract to supply SMARTEMP air diffusion products for the next generation PCA A-grade workplace coming to Sydney. The 18 storey, 22,000 m² building is designed to achieve a 5-star Green Star and a 5-star NABERS Energy rating, and has been awarded Australia’s first ever WELL Core & Shell Precertification at the Gold level by the International WELL Building Institute™ (IWBI™). Tenants at Barrack Place will enjoy enhanced health and wellness benefits. More than 1000 patented floor swirl diffusers (SMARTEMP Inclined Floor Swirl Diffuser, type ISF-AD) will provide occupants with the highest levels of thermal climate customisation, by allowing individual user adjustability of both diffuser airflow rate and air motion. Ceiling air diffusion from almost 700 fixed vane swirl diffusers (SMARTEMP Fixed Helical Swirl Diffusers, type HSC-FD), along with high induction adjustable linear diffusers (SMARTEMP Linear Multistream Ceiling Diffuser, type LMC-AD), both designed specifically for low temperature VAV applications, will provide fan energy savings and a draught-free, pleasant climate, whilst wall mounted thermally adjustable nozzles (SMARTEMP Circular Nozzle, type CNW-AD) will ensure that guests entering the building are welcomed in comfort. SMARTEMP has developed highly technical solutions to serve acoustically sensitive areas and studios at the BBC Wales facility in Cardiff. This development has involved extensive testing in the Smartemp laboratory. The project features bespoke radial swirl diffusers (new product, SMARTEMP Multiswirl Ceiling Diffuser, type MSC-FD), inductive sidewall diffusers (SMARTEMP Perforated Wall Diffuser, type PMW-AD), and ceiling outlets (SMARTEMP Fixed Helical Swirl Diffuser, type HSC-FD). The technical fit-out began in April 2018 and is expected to take around 18 months. 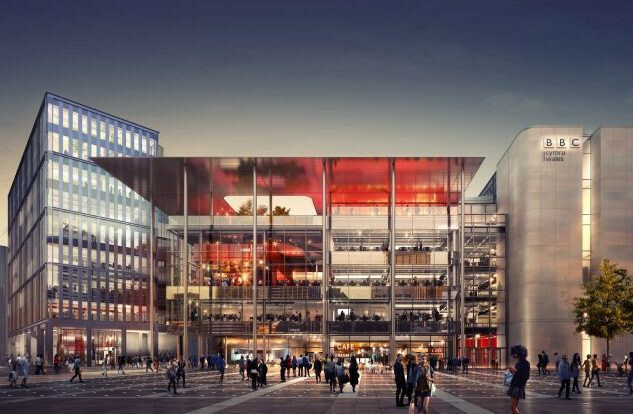 BBC staff will begin the move to the new building in the autumn of 2019 and it will be fully operational in 2020. SMARTAIR DIFFUSION has been awarded the contract to supply in excess of 5000 floor swirl diffusers (SMARTEMP Inclined Floor Swirl Diffuser, type ISF-AD) to the 839 Collins St project in Melbourne. These patented floor swirl diffusers provide users with the highest level of thermal climate customisation, by allowing individual user adjustability of both diffuser airflow rate and air motion. The site will become a 20-level office tower featuring 38,000 m² of A-grade commercial space. 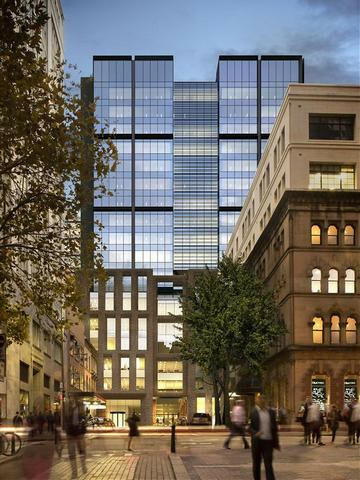 The property is being developed by Lendlease and is located adjacent to ANZ's global headquarters. 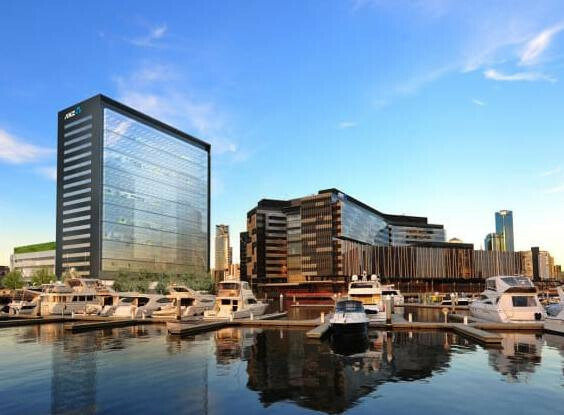 ANZ will lease 26,500 m² of the 6-star Green Star environmental rated building. The building is the first in Melbourne designed to achieve workspace ratios of 1 person per 8 m². 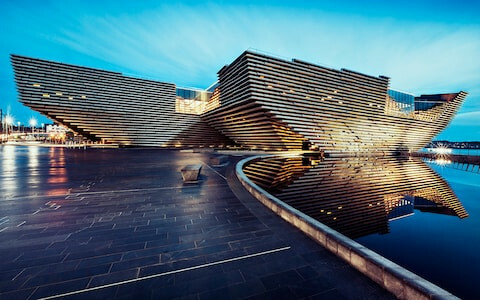 SMARTEMP Adjustable Helical Swirl Diffusers, type HSC-AD, have been supplied to the prestigious V&A Museum in Dundee. These high capcity swirl diffusers for large volume spaces include variable discharge direction adjustment via thermal wax elements to provide draught-free cooling and effective heating from elevated heights. In a development worth over £ 80 million, Scotland's first design museum is the centrepiece of Dundee's £ 1 billion regeneration project, which is forecast to attract hundreds of thousands of tourists and millions of pounds of investment to the city. Copyright © 2019 SMARTAIR DIFFUSION. All rights reserved. SMARTAIR DIFFUSION ® is a registered trademark.